Hi everyone! Today, I'm sharing with you another card feature one of the tag dies. 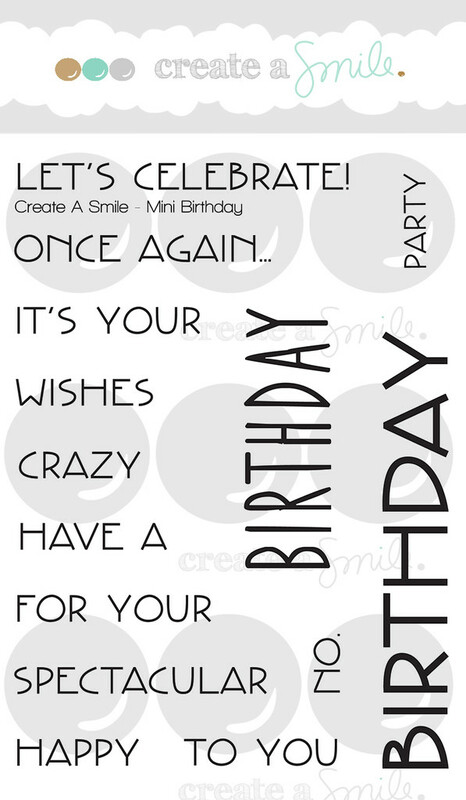 But before I share the details of the cards, for those who don't know, Create A Smile is Turning 2! Yay! I'm so happy for Christine and I've so grateful to be a part of the team. As treat to all the customers and supporters, check out this discount deal! It ends today, so hurry! Now, on to my card for this week. I'm sharing you another card using the Lovely Tags dies. Nothing fancy, just using a sort-of greyish-black pencil too add some colour to the tags. The reason why I chose to colour the tags in all the same dark colour, is because of the photo below! The awesome alphabet stickers! There are more yummy and vibrant colours in the store. I chose a different colour of sticker for each alphabet. Hope you like this idea and try it for yourself! :) Stay tune for a new mini-series next week. My starting point was the idea in my head that I wanted to see which of my stamps would fit on the tags. I can tell you: There are A LOT! 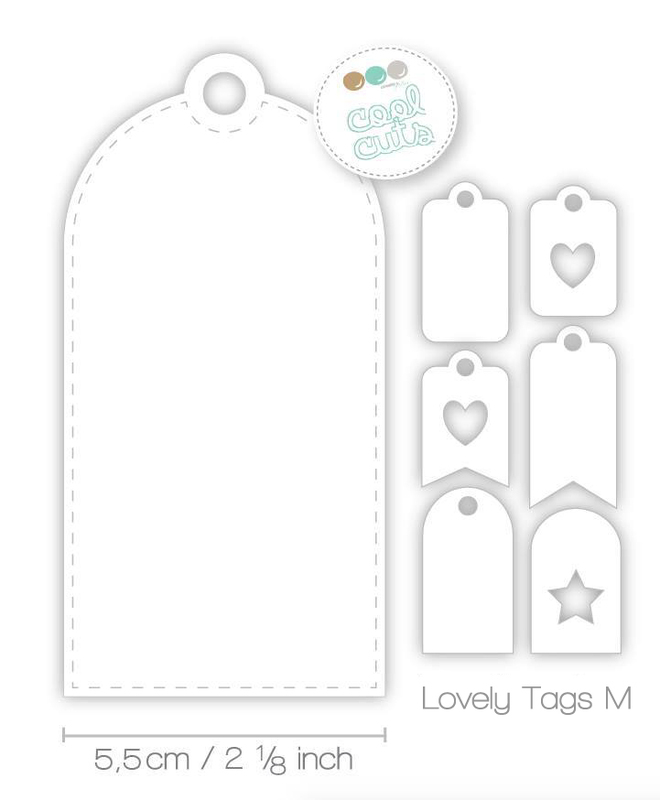 I still have some stamped tags left! Die cut a few tags and stamp the images on them. Color with Copics a rainbow colors. Create a background with watercolors. I used Distress Inks for this background. Stamp the sentiment on the background. Adhere the tags to the card. Add some enamel dots, twine and Glossy Accents for the finishing touch. The small cups from the set Coffee First and all the yummy treats from the set Served Up fits perfectly on the tags, too! Samantha here with you this beautiful Friday! 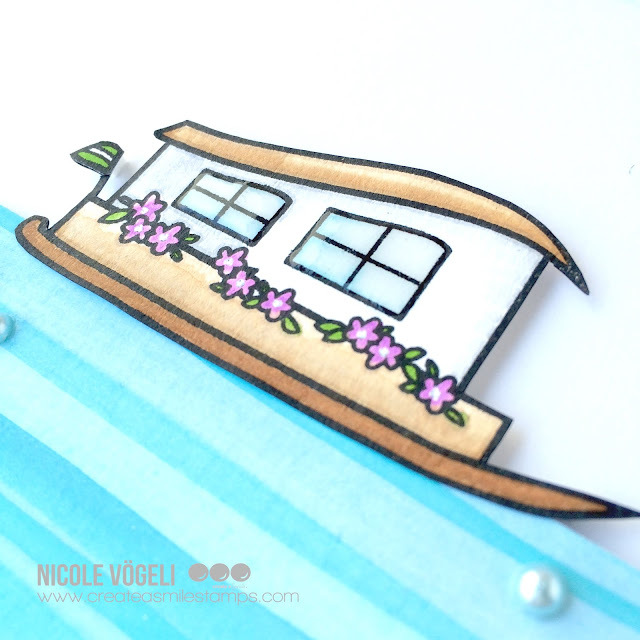 Today I'm sharing a card with a mixed media background! So, let's start the fun and create this card! - then (see? SO FUN!) I added some loose watercoloring all around the card in the same Distress Inks. LOVE how this looks! 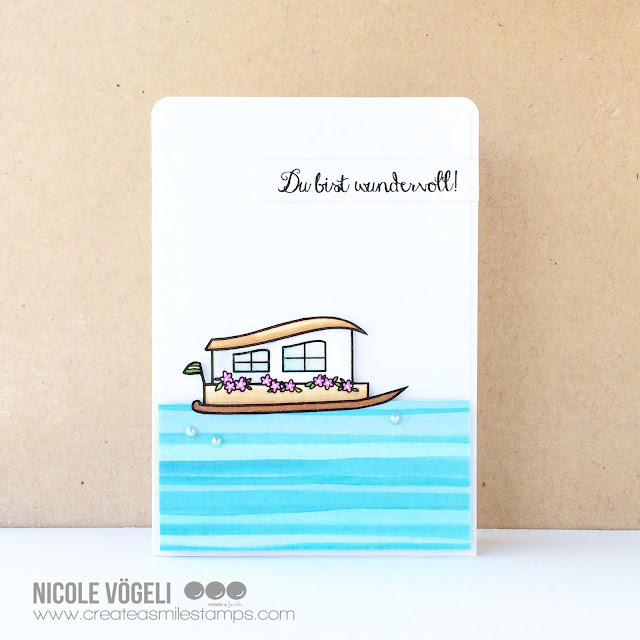 - I stamped the sentiment onto vellum and added a strip of washi to finish the card! I didn't use a watercolor paper for my card front, and it turned out ok! There is minimal warping, but overall, you can't tell! The less water you use, the less warping will occur! Watercolor paper would prevent the warping, and put your mind at ease! 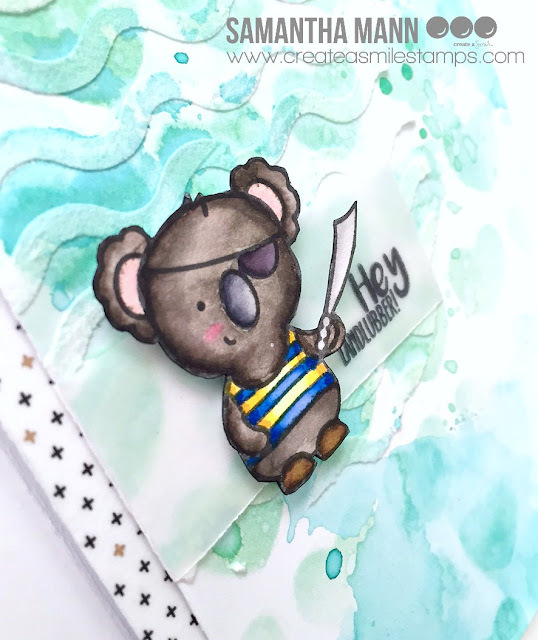 I used the new All Hands on Deck stamp set for this card! I also used the Curvy Lines and Big Hearts Polka Stencils! Did you know that you can now buy gift cards for the shop? Yes! 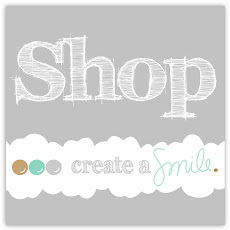 Check them out, and choose to send your best scrappy friend either a digital or actual gift card!! Hello crafty friends, Nicole here! I did some watercoloring with my two year old son lately... While he was playing with the brushes and the colors, I painted some blue stripes on a piece of watercolor paper. I liked the result a lot and wanted to use it on a card. I took a larger piece of watercolor paper for my background than I actually needed. Now I can make multiple cards with the same background. it's Justine again from the Video Design team and I am sharing this distress background with you today. Don't forget to subscribe to my YouTube channel so you don't miss out on anything! I wanted to create something fun and vibrant for summer. I also love distress inks and the elegant lines of the leaves just screamed embossing to me! As always, I have a video tutorial explaining the quick and easy process. I give plenty of tips in the video about how to blend without harsh lines but I think the most important thing is use a light hand, circular motion and PRACTICE! It won't happen overnight but with a little practice, you'll get it! 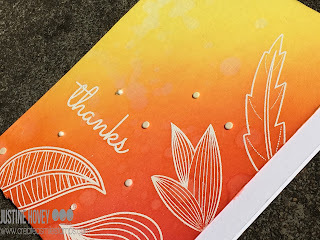 I used the Time to Say Thanks Stamp Set - for more information on the other supplies or the distress ink colours used, head over to my blog! 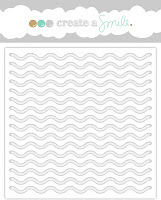 Don't forget that I have a whole playlist filled with just Create a Smile Stamps videos! Be sure to check it out - I am now up to 30 videos! Hello there! 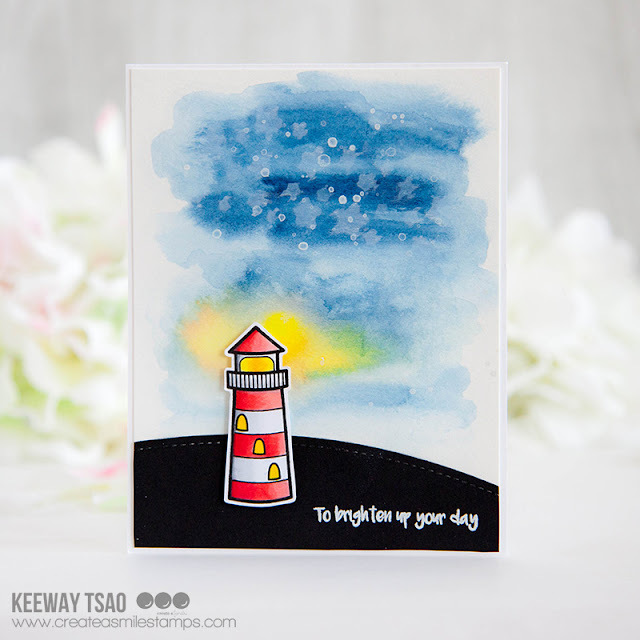 It's Keeway and today I'm sharing a card with the Glowing Seaside stamp set. 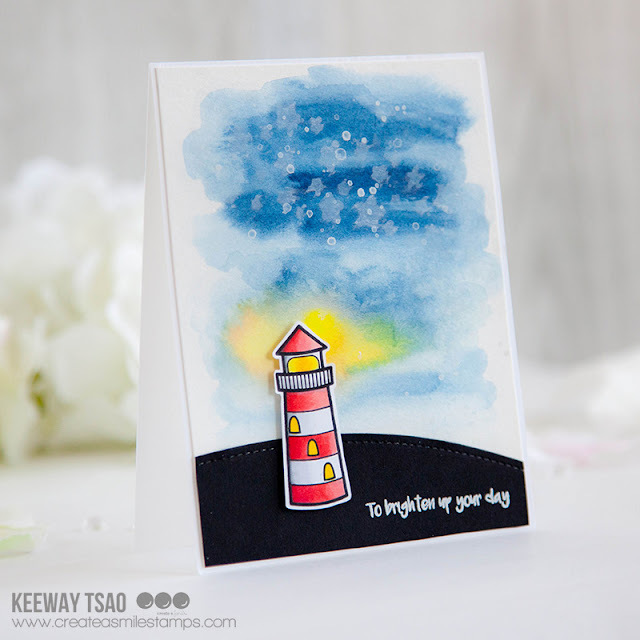 I wanted to create a glow with watercolors for my lighthouse and create a scene of serenity. 1. Stamp lighthouse on white cardstock and color with copic markers. 2. On a piece of watercolor paper, brush water onto the card first. 3. Create loose strokes of blue across the top half of the card to create a sky. Add hints of darker areas to create more exture into the sky. Save room for the yellow colors, and paint yellow colors in when the blue is half dry. That way you get a nice blend into the blue, but not too much because there is less water. 4. Add some stars to the sky with some white splatter and also by blending on white pigment ink with a star stencil. 4. Heat emboss sentiment onto black cardstock. Then die cut out a hill. 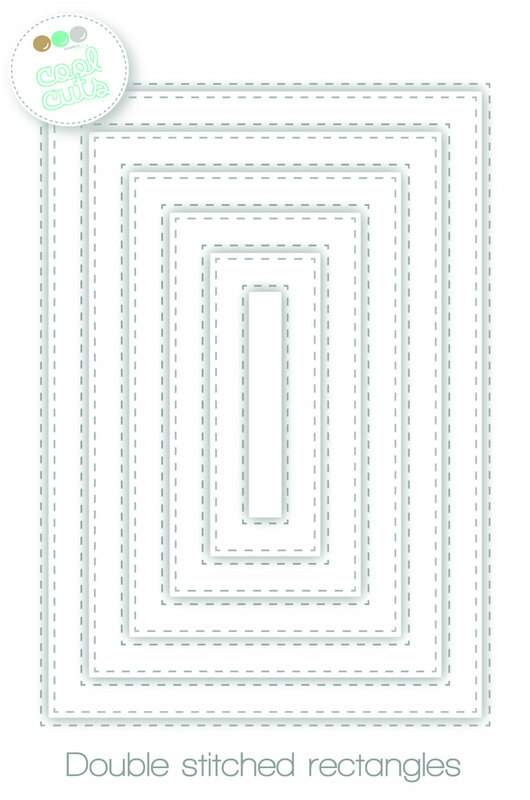 If you don't have a hillside or curve die cut, you can simply cut it slightly rounded shape with scissors. 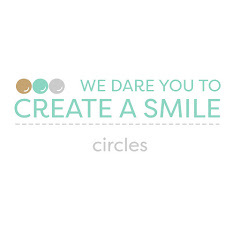 Also, our Create a Smile Friends and Family Facebook group is the perfect place for inspiration, ideas and also more challenges (with prizes). Come join us! New DT member + more Inspiration + GIVEAWAY! Pinch Me, It's Your Birthday!